Up for review is the IQ Smart Solutions IQ-1175 Vent Clip Mount. I initially labeled it as a GPS mount, but in reality it is a universal mount. It holds multiple GPS devices, as well as other portable devices such as iPods, iPhone, SM Radio and Sirius Radio receivers. The included adapters are a belt clip, as well as a vent mount. The mount can work with just about any device. While the list is fairly extensive, it still does not cover all models f or all manufacturers. It looks like you are pretty covered for XM Radio, Sirius, and most iPods. The good news is that it also comes with some universal mounting tabs. So if your device is not on the list, just use the universal mounting tabs. The packaging was pretty good, with a lot of adapters. Each one was individually wrapped in clear plastic and labeled for this make it supports. So it was pretty simple to look through the pile for the adapters that were needed. Construction was also good, as they all seem fairly durable. The included instructions were simple to follow. There are multiple sized vent clips to work with just about any dash. I was able to get mine installed to my vents, and the mount appeared very stable. I would have no reservations with using this mount. If you are looking for a device mount that will not take up your dash space, this could be for you. For more info and complete specs, check out their website at www.iq-ss.com. It is easy to forget, but laptops need to breath. They do not need much room for ventilation. They have small rubber feet on the bottom, so if you use it on a desk, there is sufficient space for ventilation. Laptops, however, have the added benefit of portability. Now you can set it in your lap on the couch, or on the bed. But that gives zero ventilation and can cause overheating and shorten your laptop’s lifespan. The Targus L ap Chill Mat solves this problem. It has built in fans to keep your laptop cool. Not only does the pad give back space for sufficient ventilation with the laptops built in fan, the Targus Lap Chill Mat gives extra cooling. The dual fans will keep your laptop nice and cool. The construction was very good. The top is a hard plastic mesh air can travel thru. The neoprene bottom is padded and feels comfortable in your lap. The dual fans perform very well! They provide a nice flow of air to your laptop. They also do so very quietly, so much so that it is inaudible. Power for the Chill Mat is conveniently supplied through a USB cable. The Targus Lap Chill Mat turned out to be an excellent product. It is built well to last a long time, it looks great and is comfortable to use. And best of all, it also works as advertised! I have bought the cheap ones that don’t work well and also don’t last very long. With an MSRP of $39.99, it is a bargain. If you have a laptop, I highly recommend getting a laptop pad. And I suggest the Targus Lap Chill Mat being added to your list to check out. For more info, check out their website at: www.targus.com. It’s that time of year again when we start doing up our shopping lists for the holidays. To help with this, and give some gift ideas, we are happy to present our first annual Holiday Gadget Gift Guide. The gift guide will include a list of the items, brief descriptions, photo, and review schedule for each of the items. If you are not sure what to get loved ones for Christmas, here are some great gift ideas. Sam sung Fascinate. This is an excellent Andr oid 2.1 based Smartphone. It is thin, has great display, and has a multitude of multimedia possibilities thanks to the Android operating system. Full review will be available here this week, the third week of November. Targus Lap Chill Mat. This pad is a multi-functioning laptop pad. Not only is it comfortable to use in your lap, it also keeps your laptop cool. Full review will be available here this week, the third week of November. Ion Tape Express+. T his unique product helps you get your audio collection into the digital age. Now to can store your cassette tapes on your computer as MP3’s. The full review will be available here in the fourth week of November. IQ Smart Solutions GPS Mount. GPS receivers usually come with windshield and/or dash mounts. This GPS mount uses your dash vents. The full review will be completed in the fourth week of November. RCA MP3 player. There are many mp3 players out there to choose from. This one is not only small, it makes using the device simple. The full review will be completed here the first week of December. AKG NC309 IEM. When it comes to headphones, it is not just about the sound. We can also look for functionality. These In Ear Monitors are also Active Noise canceling. 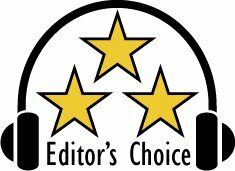 For the full review, check here the first week of December. JVC UX-LP5 Shelf System. This shelf system is more than just a clock radio. While it does have an alarm, it is also big on sound. The full review will be available here the second week of December. Ion BlockParty. Now you can have your own block party or tailgate party. This portable sound system helps share your tunes with others. 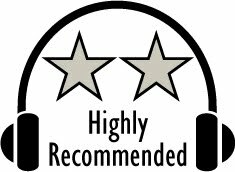 Check out the full review here the second week of December. 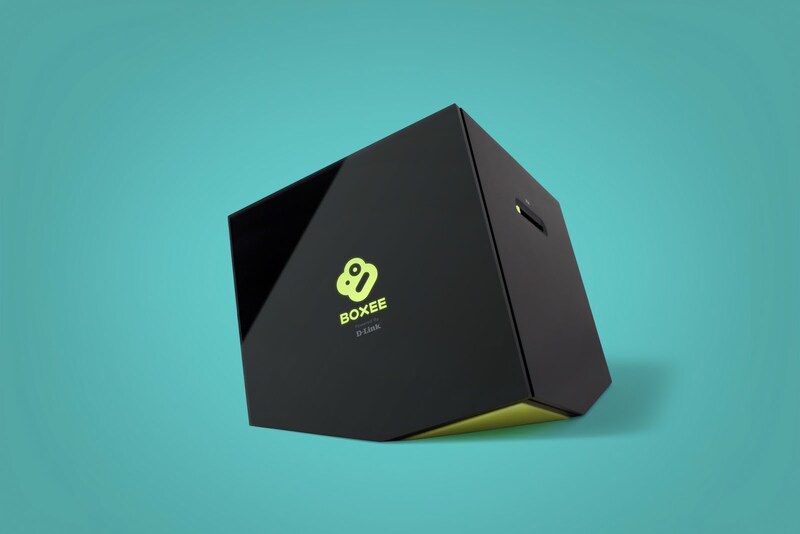 DLink Boxee Box. This little box plays a vast array of video formats. Connectable to the internet, it also allows you access to online content from services such as NetFlix. The full review will be available here the 3rd week of December. Bracketron Universal USB charger and MobileDock Dash Mount. The 1st item is the USB charger for your vehicle. The 2nd is a dash mount for your portable device. The review will be completed the 3rd week of December. The holiday shopping season can be fun, yet also difficult. We all like different things. Keeping that in mind, we tried to get a good variety of different devices and items. Hopefully, this will give you some great ideas and save you from resorting to just gift cards! UPPER SADDLE RIVER, NJ, 11/4/10 -- Onkyo, a brand known worldwide for quality home entertainment electronics, has introduced an audio-video mini system and stereo mini system that are each well suited for the office, bedroom, dorm room, or summer cottage. The AV mini system consists of a powerful DVD/CD receiver with a built-in dock for iPod, a USB connection, high definition HDMI video output with 1080p upscaling, and a pair of two-way loudspeakers. The step-down stereo music system has a CD receiver, built-in dock for iPod/iPhone, and slightly smaller two-way speakers. The Onkyo CS-445 CD mini system plays CD's CD-R and CD-RW media with standard CD-audio, MP3, and WMA files, and the top-panel dock for iPod/iPhone dramatically increases the available music sources. Both systems have powerful 40-watt stereo amplifier sections and a pair of high-performance two-way bass-reflex loudspeakers with 1-inch soft dome tweeters and the company's signature OMF (Onkyo Micro Fiber) woofer cones. The DVD receiver has a 20-preset FM tuner, the CD receiver has an AM/FM tuner with 40 presets, and both models include a full-function remote control. For more information on the Patriot Xtreme Series of DDR3 modules. please visit the product page here. City of Industry, California, November 3, 2010 – GIGABYTE TECHNOLOGY Co., Ltd, a leading manufacturer of motherboards, graphics cards and other computing hardware solutions today announced a new overclocking competition in conjunction with HWBOT.org called the Core Prime Contest. The holidays are quickly approaching, so GIGABYTE thought we’d give you a break from forcing down Aunt Bertha’s fruitcake surprise with our latest GIGABYTE Core Prime contest. For the next 6 weeks (Nov 1 ~ Dec 18), submit your top Core Wprime scores to HWBOT for your chance to win a GIGABYTE X58A-UD7, GIGABYTE X58A-UD3R, or GIGABYTE H55N-USB3. This competition consists of 6 stages including 6 Core Wprime 32M & 1024M, 4 Core Wprime 32M & 1024M, and last but not least 2 Core Wprime 32M & 1024M. You will receive points for getting into the top 10 of each stage, and the person with the most points at the end wins. The more submissions you make, the better your chances, so get out there and start benching. Let’s be honest, your stomach and teeth will thank you in the end, and you may just walk away with a brand new GIGABYTE motherboard. Good luck everyone! GIGABYTE, headquartered in Taipei, Taiwan, is known as a global leading brand in the IT industry, with employees and business channels in almost every country. Founded in 1986, GIGABYTE started as a research and development team and has since taken the lead in the world's motherboard market. On top of motherboards and graphics accelerators, GIGABYTE further expanded its product portfolio to include notebook and desktop PCs, digital home entertainment appliances, networking servers, communications, mobile and handheld devices, servicing every facet of people's lives at home or business. Everyday GIGABYTE aims to “Upgrade Your Life” with the most innovative designs and impeccable quality and services. Visit www.gigabyte.us for more information. Fremont, California, USA, November 3, 2010 - Patriot Memory, a global pioneer in high-performance memory, NAND flash and computer technology, and D&H Distributing, a leading national technology distributor, today announced their immediate agreement for the distribution of Patriot Memory products in North America. Resellers, system builders and integrators will now find the wide selection of Patriot Memory products available for purchase through D&H. 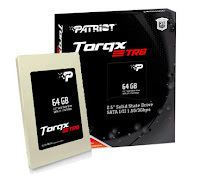 Patriot Memory designs, manufactures and markets high performance, enthusiast memory modules, flash products, and computing technologies. Patriot products have become world renown for their extreme performance, reliability and innovation. Patriot Memory sells its products through original equipment manufacturers, retailers, e-tailers and distributors. It has operations in North America, Asia and Europe . Patriot Memory’s parent company, PDP Systems, Inc., was founded in 1985 and is headquartered in Fremont , California , USA . Grand Rapids, MI Nov. 2nd, 2010—WS Distributing (www.wsdistributing.com) has announced that it has become the official distributor of Thorens for the US market effective immediately. WS Distributing will have a comprehensive line-up of Thorens turntables available beginning at a retail price of $399.95. WS Distributing also represents Vincent and Pangea, and all three brands will be on display at CES 2011 in The Venetian, Booth 29-326. In 2008, Thorens celebrated its 125th birthday, making it the oldest entertainment electronics company in the world. Thorens turntables have earned the highest regard worldwide for performance, quality and longevity. Thorens has remained true to its analog heritage, which is why music lovers all over the world associate Thorens with audio components of the highest quality—particularly those for whom the vinyl record is their first choice when enjoying music. The most recent introduction from Thorens is the sleek and stylish TD-309, which has already received rave reviews from the audio press. The TD-309 features an innovative Tri-Balance Suspension, low noise DC motor, precision machined sub-platter and a tonearm designed specifically for the TD-309. MSRP for the TD-309 is $1699 including tonearm and cartridge. WS Distributing plans to place Thorens with traditional retailers in major US markets, a select group of retailers in smaller markets throughout the country, and as well as two or three e-tailers including Audio Advisor. “Thorens is a wonderful addition to the family of products we represent at WS Distributing, and we foresee having success with this legendary brand via a presence in both online and traditional retailers,” said WS Distributing Sales Director Tom Myers. “Dealers can expect efficient product delivery and service beginning December 1st thanks to our warehouse/service center here in Michigan as well as service centers on each coast,” Myers added. Please visit Thorens at CES 2011 in The Venetian, Booth 29-326. “We applaud the FTC for its rulemaking today. It’s an exciting and important development for consumers that will provide helpful energy use information for TVs. CEA has long supported efforts to provide consumers with more information about the energy use of the electronics they purchase, and we look forward to working with the FTC as it considers similar measures for other product categories. The FTC’s rules, which go into effect in mid-2011, call for the primary disclosure on the label to be the product’s estimated annual energy cost, with comparative information on similar-sized TVs in most cases. For further details on the FTC’s requirements for TVs, please visit: http://www.ftc.gov/opa/2010/10/tvlabeling.shtm. The Consumer Electronics Association (CEA) is the preeminent trade association promoting growth in the $165 billion U.S. consumer electronics industry. More than 2,000 companies enjoy the benefits of CEA membership, including legislative advocacy, market research, technical training and education, industry promotion, standards development and the fostering of business and strategic relationships. CEA also sponsors and manages the International CES – The Global Stage for Innovation. All profits from CES are reinvested into CEA’s industry services. Find CEA online at www.CE.org. Cerritos, California. Oct. 22, 2010-For those who have not been to our latest tradeshows or would like to know more about this new Award Winning Anamorphic projection screen from Elite, here it is. The Osprey runs two separate motorized projection screens, a native 2.35:1(Cinemascope) and a 16:9 (HDTV) in tandem with lens memory to accommodate the variable modes of an anamorphic projector. The screens are spaced at a 12mm interval to minimize any perceivable depth of focus distortion. In addition to this, the Osprey is pre-set to maintain a centered image aligned with the projector's lens memory. The Osprey utilizes Elite's award winning CineWhite 1.1 gain, matte white tension material. It has wide diffusion uniformity and a black backing to eliminate light penetration. As is customary with Elite's electric screens, a full control package is included with Infrared and Radio Frequency receivers, IR and RF remotes, an RJ45 port for input and operation with the included external wall switch or extended IR "eye" receiver. When other manufacturers are charging extra for such features, Elite Screens includes these as standard to the customer at no extra charge. The Osprey Tension Dual comes pre-assembled and ready to install utilizing its sliding wall brackets for quick and convenient positioning in line with wall studs. Sizes are available from 97 to 133" in 2.35:1 and 78" to 106" in 16:9 with optional in-ceiling trim kits available as well. In addition, models with extra top masking for high-ceiling installations are also available.